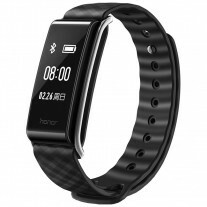 Huawei unveiled its latest smartband - the Honor Band A2 - following up on the Band A1 from last year. The major additions this year are a 0.96” OLED screen and a heart rate sensor, making the Band much more capable than before. 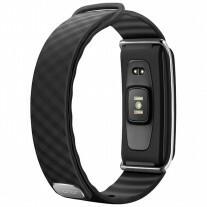 Fitness tracking functions include a pedometer, exercise tracker, sleep tracker and a sedentary reminder. 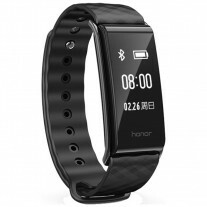 The Honor Band A2 is IP67-rated, enough to survive encounters with water but not really meant for swimming. The screen also allows it to show notifications from an Android (4.4+) or iOS (8.0+) device. You should be able to get 9 days of batter life, or up to 18 days if you put the band in standby. The A2 will be available in China starting June 9th at a price of CNY 200 ($30/€25). The straps feature the same design as before and come in several different colors: black, white, green, red. Vmall already has a page up that accepts registrations. can xiaomi band 2 measure the speed and distance while cycling?